MOSCOW, January 20. /TASS/. 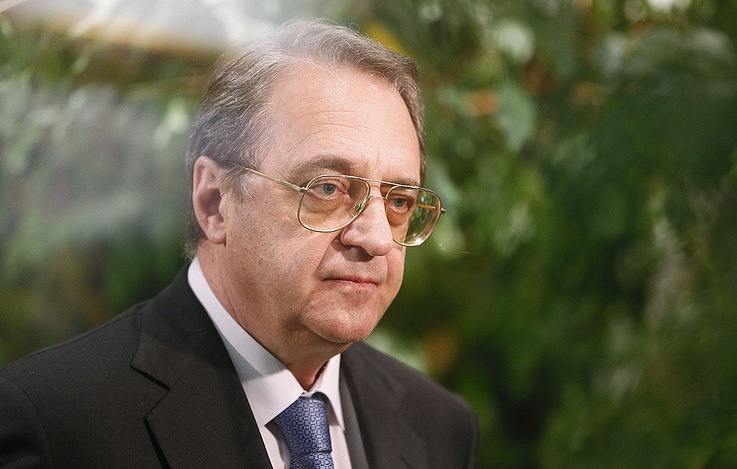 Russian President’s Special Envoy for the Middle East and African countries, Deputy Foreign Minister Mikhail Bogdanov and President of the Comoro Islands Azali Assoumani discussed fostering bilateral cooperation in trade and economic and investment areas, the Russian Foreign Ministry said in a statement on Sunday. The meeting was held on January 19 in Antananarivo on the sidelines of events marking the inauguration of Madagascar’s President Andry Rajoelina. "During the discussion, the sides noted that the relations between Russia and the Comoro Islands are traditionally friendly and mutually respecting and confirmed mutual determination of Moscow and Moroni to consistently develop business-like partnership in trade and economic and investment areas, including construction, naval transport, energy and training staff," the ministry said.